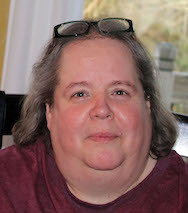 Tracey Ann Deming of Cranston passed away peaceful on October 20th. She was the beloved daughter of Fred L. Deming and the late Diane Fisher and the step-daughter of Jane G. Deming and Jim Fisher. Tracey leaves a loving blended family and many treasured friends. Her siblings include, the late James Deming and his wife Marilyn Bebeau, Lynda Nikodem and her husband Stephen, Robert Corrente and his wife Danielle, Lori Meo and her husband Steven, Jason Griffin and his partner Nicole Yates and Raymond Fisher. She leaves her beloved niece and nephews, Henry and Eleanor Meo, Haiden Corrente and Michael and Matthew Nikodem. She also leaves her lifelong, dear friends Kim and Matt Viau and niece Natalya. Tracey was well known for her great sense of humor and quick wit. She was generous of spirit and kind hearted. She lived for her family and friends and cared deeply about every individual in her life. She loved playing games and game nights with friends and family and big family gatherings around the holidays. She also enjoyed travel and picking up the kids for mystery rides. She loved animals and nature. Tracey graduated from Cranston East High School and worked at Capron Park Zoo and National Security. In Lieu of Flowers, please make a donation in Tracey's name to: Hasbro Children’s Hospital, PO Box H, Providence, RI 02901-9979. Her life will be celebrated with calling hours Friday, from 4 – 7pm with a service at 7:00pm.